I hope a great weekend was had by all. We had a nice weekend of camping; the weather even cooperated most of the time - we only had a few showers which was much better than expected. A new challenge has started at Creatalicious and our theme for the next month is 'all about summer.' Easy peasy! 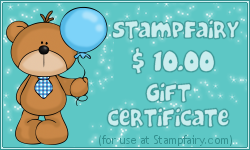 This challenge is sponsored by Stamp Fairy, who kindly provided some really cute images for the DT to work with. 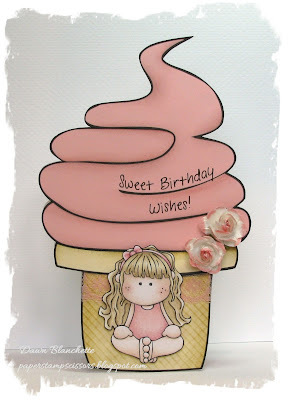 For my card, I used Molly Beach and an Ice Cream Cone freeby, which I used to create the shape of the card. Other - scoreboard to create the lines on the cone, Distress ink for inking the edges and scored lines, Stampin' Up flowers, American Crafts lace and a computer generated sentiment. This is really cute! Love the shape and amazing how the paper for the cone looks like the waffle on a cone. That little gal is so sweet too! Gorgeous card Dawn. 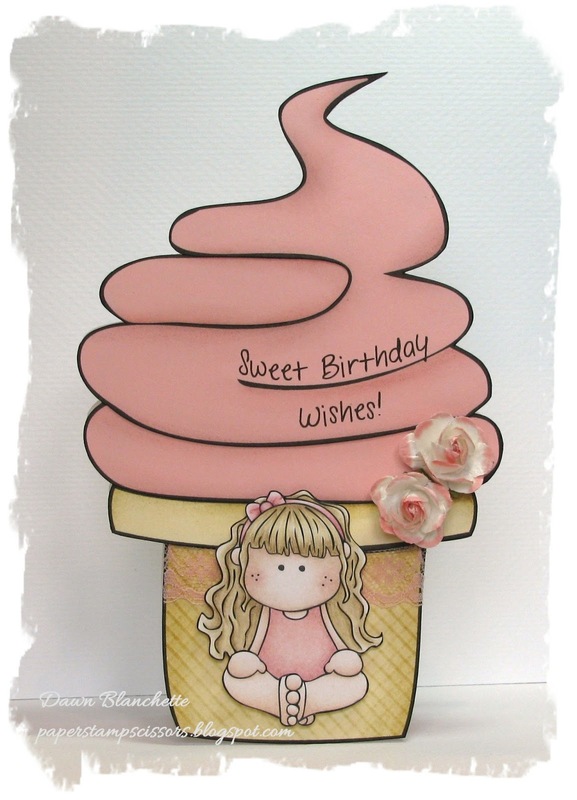 I love the sweet image and fabulous ice-cream design. I'm glad your camping trip went well and that the weather was kind you to. EEK! What an awesome summer shaped card! Also, who wouldn't love an ice cream bigger than themselves? What a beautiful lovely creation! It is funny and original! This is so sweet! I love the shape! Perfect summertime card!